The Holiday Inn Express Hotel Athens is conveniently located just two blocks from the University of Georgia in the heart of downtown Athens. All rooms include a free Express Smart Breakfast Bar in the Great Room each morning for all registered guests. Other features include: high speed internet access in all guest rooms, free local phone calls, state of the art exercise facility, business center, outdoor pool (open Memorial Day to Labor Day). The Holiday Inn Express offers flexible meeting space and services to accommodate 2 to 200 guests. Full catering options are available for successful meetings and conventions, and memorable social events including weddings, rehearsal dinners, and class reunions. All guest rooms are accessible via interior corridors with your choice of one king size bed with sleeper sofa or two double beds, smoking or non-smoking. The hotel offers ample complimentary parking for overnight guests and meeting attendees. 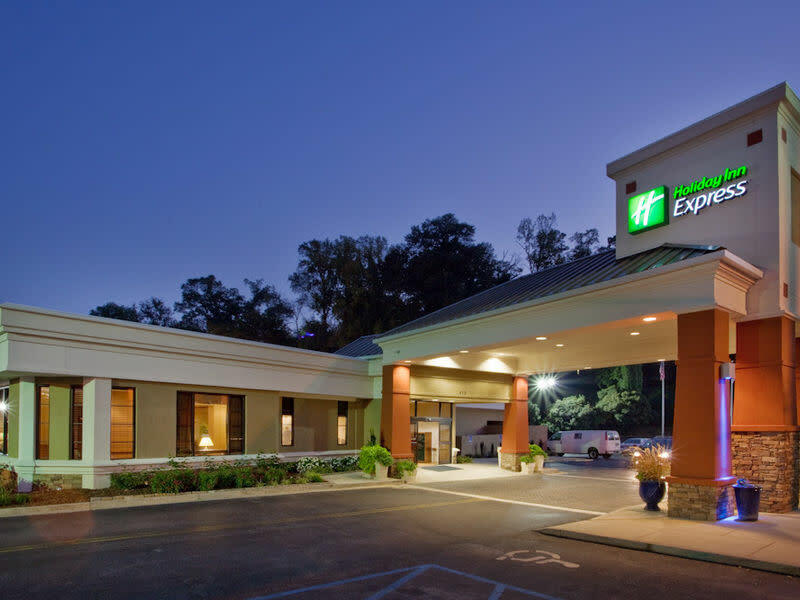 Visit Athens, Georgia and stay smart at the Holiday Inn Express Hotel. Space Notes Meeting space can accommodate from five to 200 guests.